Go to Airmail Composer and compose a message as you do normally as shown in the screenshot below. 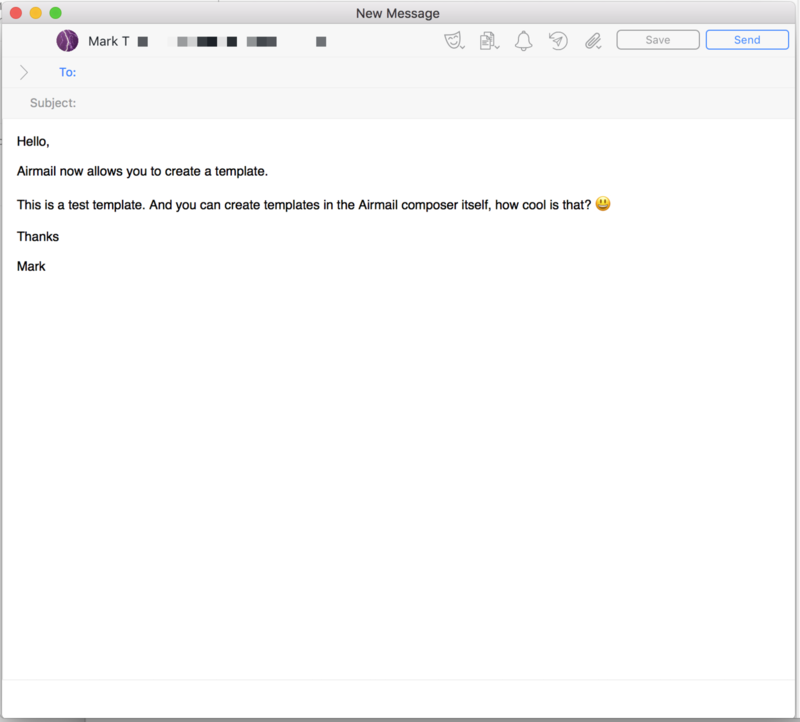 After you have composed your template, click on the &apos;Template&apos; button from the toolbar of the Airmail Composer as shown in the screenshot below and choose &apos;Create Template&apos;. Enter the desired name for the template and save it. How to invoke a template when composing messages? How to edit a template that you created previously? 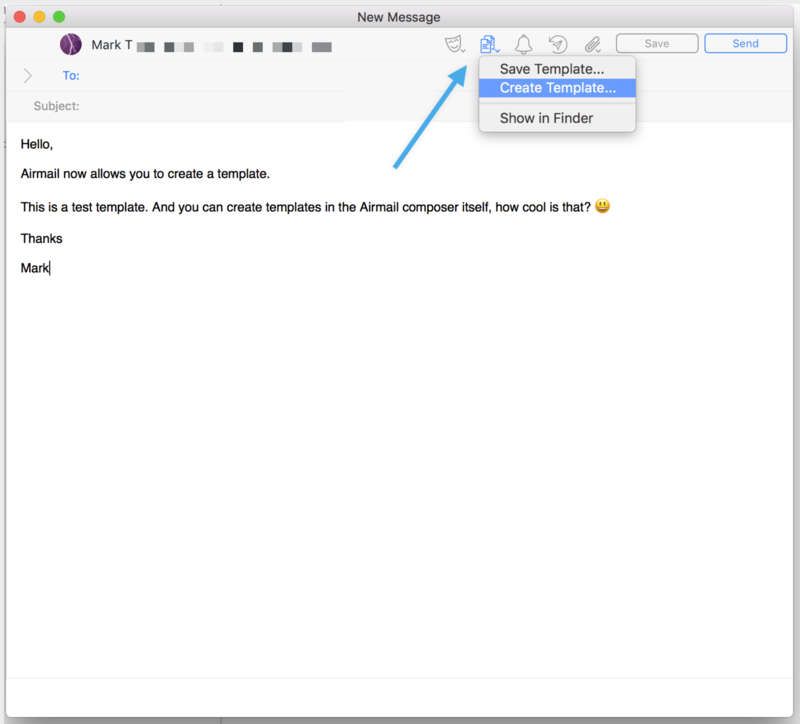 You can choose to edit a template in Airmail. 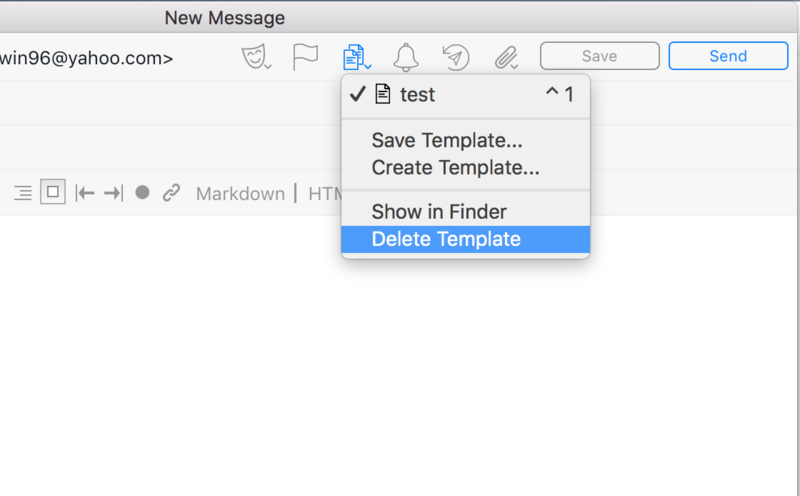 Just choose the template that you want to edit from the &apos;Template&apos; button from the toolbar of the Airmail Composer as shown in the previous screenshot. Then make the desired changes in the template and choose to &apos;Save Template&apos;. This will save the changes and the new modified template will be available in the composer when you invoke the template.